‘Ultimately the one who performs when it matters, is the one who matters the most. 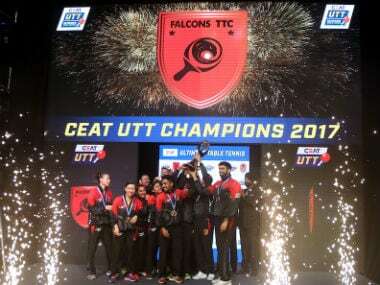 And perform Wu Yang did as she helped the Falcons TTC lift the trophy of the CEAT Ultimate Table Tennis (UTT) League. On a Sunday evening at the NSCI in Mumbai, the Falcons TTC trounced the Shaze Challengers 14-9 to win the inaugural edition of UTT. Wu Yang — the world number 13 — had earlier lost her first game and match of the league against the Shaze Challengers. She had boasted a record of 21 games without a defeat in the UTT prior to her match against Han Ying of the Challengers. Ying defeated Yang in three straight sets during that encounter — with all the games being won on the Golden Point, with Ying simply refusing to switch to the offensive, which meant that Yang did all the attacking, though both players are known to be defensive. She had lost a lot of points due to impatience, while Ying brought everything back on the table. This time it was a different story. Yang matched Ying for her patience — the strategy being evident in the first point of the match itself, which was played for a total of 57 shots. Even when she attacked, it was a measured approach — with the follow-up ball after her attack being a chop to get her back into the rally game. The strategy worked wonders as Ying made a couple of enforced errors and was also forced to attack on occasions. Following the trend of the previous tie the first game also went to Golden Point, with Yang coming from game point down. The two played out another mammoth rally with Yang displaying the readiness to stick it out which was lacking on the previous Golden Points. She finally won the point with a glorious attacking forehand topspin down Ying’s backhand extreme. The next two games were won with rather easy scorelines of 11-4 and 11-8. This match was one of the longest matches in the UTT where the players had to fight extremely hard to win each and every point. It was apt that Yang would become the first and only player to defeat world No 9 Ying in the entire tournament. Earlier Yang posted a comfortable 3-0 victory over Mouma Das, with her figures reading an impressive 6-0 on the night. Yang was deservedly named the ‘Ultimate One’— awarded to the player with the maximum points in the tournament. The other important victory for the Falcons came in the mixed doubles. As with Yang, the pair of Sanil Shetty & Lee Ho Ching had lost 0-3 to the Challenger's pair of Soumyajit Ghosh & Petrissa Solja. Revenge was sweet for the Falcons as they reversed the score this time around winning 3-0. Shetty and Ching were at their attacking best and complimented each other well. They were also aided by unforced errors on the part of their opponent. 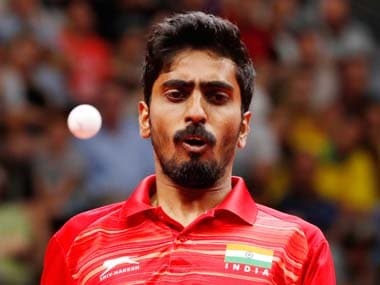 Shetty — nicknamed the 'Foreign Slayer' — had previously helped the Falcons cause by taking a game of Li Ping in the first encounter of the tie. In that match, Shetty showed readiness to use his backhand to support his ferocious forehand attacking game. This helped him choose his attacks better. With the team needing 14 points to win, it was imperative that each and every game should be fought tooth and nail, and fight he did, snatching the third game after trailing 0-2 at one point. Liam Pitchford — the most valuable foreign male player — impressed as he defeated India’s Soumyajit Ghosh after being 0-1 down to take two crucial points for the Falcons. He had earlier lost to Challengers’ captain Andrej Gacina 1-2, but showed mental strength by bouncing back and winning the match against Ghosh. Fittingly it was the Falcons’ captain Par Gerell who closed out the match. Needing one game to finish the tie, Gerell lost the first game but served and received very well in the next to win the game and tie for the Falcons, who then broke into wild celebrations as they laid their hands on the beautiful UTT trophy that was handed over to them by the Bollywood legend Amitabh Bachchan. 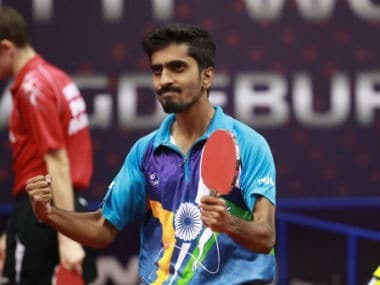 UTT definitely has taken a major step in the right direction for Indian table tennis. The current crop of players in the country will have developed a belief in themselves that they can be world beaters. Both men and women punched above their weight as they defeated higher-ranked foreign players. The next time they enter the arena in the international circuit, the rank won’t matter so much. It was also a fantastic exposure for the Indian youth players as well as coaches, who got to work alongside the best coaches in the world and learn different techniques and strategies. As to the marketing and promotion aspect of the event, UTT was well setup for the television viewing with different camera angles, slow-motion replays and statistics giving a better perspective for the general viewers. 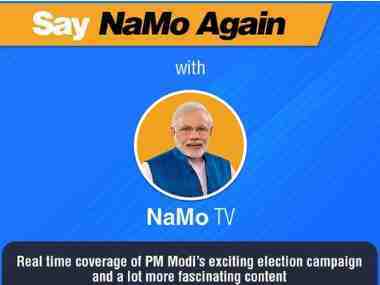 The presence of eminent celebrities such as Bachchan, Sachin Tendulkar, Juhi Chawla among others added to its sheen. The commentary team led by Adam Bobrow and Neha Aggarwal were excellent with in their job targeted at the novice audience. The explanations of the rotations and trajectories of the ball were well detailed as were the specific names of each stroke that surely helped educate the audience. 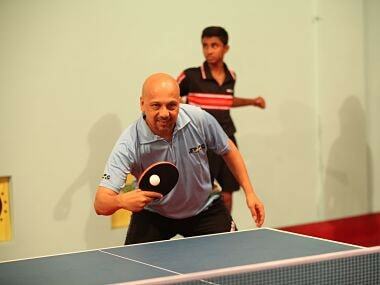 Overall the UTT League is set to bring in a sea of change in the Table Tennis scenario in India.